Dog owners and walkers in the city who don’t clear up their dogs mess or have the necessary bag to do so could face a fine from December 2018. 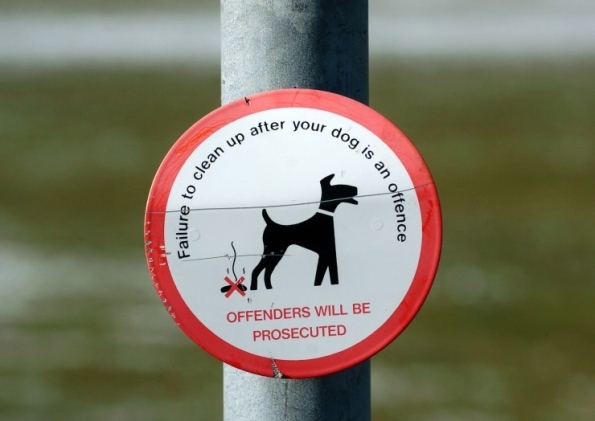 New dog control orders came into effect earlier this year (July 2018) requiring anyone walking a dog to carry a bag or have some other way to pick up and remove their dog’s mess, as well as there being additional locations within the city where dogs will be required to be placed on a lead. Dogs are also prohibited from Leeds City Council owned tennis courts and multi-use games areas. The council took the decision to allow a number of months ‘grace period’ for the education of dog walkers on the necessary responsibilities and for people to get used to the new legislation. This legislation, which falls under Public Space Protection Orders (PSPO), builds on previous dog control orders that included the dog wardens powers to ask owners to put a dog on a lead (where it is causing a nuisance) and the maximum number of dogs that can be walked at any one time (six for professional walkers and four for others). The fixed penalty notice for anyone not adhering to the new orders is £100, or £80 if you pay the fine within 10 days. “The primary aim is to encourage good habits throughout the city. With the co-operation of residents, visitors and businesses, we hope to see a great improvement throughout Leeds resulting in high standards of cleanliness. This would be more palatable if there were more bins to place your dog rubbish in. In some area open to the public there are either no bins in a convenient place or the bins that are there are vandalised and do not have any inners so are rarely emptied. At the same time there are places where the bins are placed in areas that are inaccessible to dog walkers such as at narrow pathways or at kerb sides. Also who is going to do the policing of this? I have made several complaints about dog mess (I do have dogs and I do walk them so it isn’t a matter of being anti dog) being left in Springhead Park, Rothwell. Also there are many places where dogs are allowed off the lead and do their business well away from the person walking them so that, even if they do (on the very rare occasion) do go and try to pick it up they cannot find it. Perhaps Leeds City Council should listen to the public about these matters and put systems in place to catch the offenders BEFORE they enact these draconian laws!